Join us for a 60-minute webinar to collaborate with district leaders nationwide. Explore education’s most rapidly-growing methodology for effectively integrating instructional and curricular innovation with modern technology tools - creating the conditions to deliver modern learning at scale. Discover how National Exemplar District Pickerington Local Schools is has successfully led the way in developing the groundwork to connect learning experiences of each student with updated skills to be successful after graduation. Director of Instructional Technology Brian Seymour, will share the key milestones in his district’s journey to create the conditions for strategic transformation at scale. Pickerington Local Schools has been named a National Exemplar District in Digital Convergence, a designation awarded to school districts and educational organizations who reach Stage 3 or above in the Digital Convergence Framework. Through their work in Digital Convergence, Pickerington has created the Plan for Progress movement to lead the district to modern learning at scale. The Digital Convergence Framework provides the methodology, resources, and support to actionize your strategic plan and bring your portrait of a graduate to life at scale. Join the Virtual Leadership Forum to see a showcase of Pickerington Local Schools’ key strategic milestones in the Digital Convergence journey to modern learning. As the author of The Digital Convergence Collective Body of Work, Dr. Smith will moderate the discussion and draw connections between the outstanding work of Pickerington and the first three Stages of the Digital Convergence Framework. As a practitioner and leader in Digital Convergence at Pickerington Local Schools, Brian Seymour will showcase the milestones that have enabled Pickerington to effectively integrate instructional and curricular innovation with modern technology tools at scale. 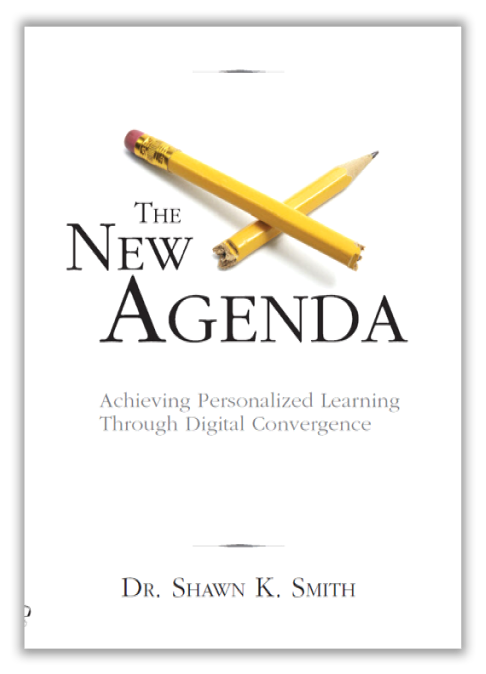 The New Agenda sets the context for change by providing compelling reasons our nation’s schools need to meet the demands of the 21st Century. Author Dr. Shawn K. Smith will reference the strategic planning within the first three Stages of the Digital Convergence Framework as we discover what Pickerington has accomplished to reach Stage 3. Those who have not read the book are still encouraged to attend, as the author will share key excerpts during the webinar and apply the book’s key insights to best practices for change management leadership.